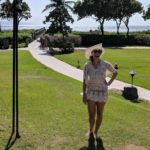 I love reading bloggers’ goals post at the beginning of each month, but I never think that anyone will want to read mine. 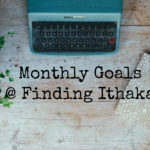 This month so many bloggers posted their goals on June 1 and it got me really motivated. I’m going to give it a try this month. One thing that I always found with Nick gone is that having a project and/or a goal gives me more things to do on my own and things to work towards. So, I think it will be good to cross things off of my list that I have been meaning to do for months — or, really, since we moved into our home 11 months ago! And, honestly, some of them will be a lot easier to accomplish with Nick gone. 1. Read 4 books. I’ve been slacking in the reading department, so I’m going to try to read one book per week. I finished The Couple Next Door a few days ago, so I am off to a good start! 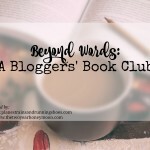 Our Beyond Words Book Club is reading The Handmaid’s Tale this month, so if you’re looking for something to read, you should join us here! 2. Print a canvas from our trip to New Zealand to hang in our bedroom. We have a huge empty wall in our bedroom that is just depressing. My plan is to get a big canvas of a picture to New Zealand and put a few other pictures from our travels. I have been meaning to do this for approximately one year, but we have so many pictures that going through them seems daunting. Also, I try to spread out the things that we buy for the home, so this keeps getting pushed aside when I want to get other things. 3. Print one other canvas for the living room and rearrange some photos we have hanging up. We have a big world map that we pin with all of the places we have been and I’m trying to turn it into a gallery wall. I have frames on the wall that don’t have pictures in them, so I need to just get that done. 4. Print photos for our 2016 & 2017 scrapbooks. To make each scrapbook, first I buy the pictures, then I buy the supplies, and then I start working. I am one year behind on my scrapbooks. They are usually my gift to Nick for Christmas, but when we PCSed from Hawaii to Connecticut over Christmas in 2015, I got behind and I have been a year behind ever since. Each scrapbook takes a lot of work, so I need to start working on them now if I am going to give them to Nick for Christmas this year. I would love to catch up and give him two this year. It’s been hard to motivate myself to scrapbook in Hawaii because I never want to stay home. But with Nick gone, I can work on my scrapbook at night. I also can leave all of my supplies out all over the table. I make the scrapbooks for Nick, so I always hide everything when before he gets home so that he doesn’t see me working on it. He absolutely would not mind the mess, but I like to make it a surprise. So, it will be a lot easier to do this with Nick gone because I won’t have to keep cleaning up everything and taking it out again. 5. Go on a hike once per week. This is partially to enjoy Hawaii and partially to keep busy while Nick is gone. Over the weekend, my friends and I went on a new hike that I had never done before! It was so fun and so beautiful! 6. Workout 3x per week. This could be yoga, a hike, or going on the elliptical. Whatever gets me moving. 7. Start volunteering regularly. I just finished two rounds of interviews to volunteer at the Navy-Marine Corps Relief Society and I hope to officially start training at the end of June. I hope to write a whole blog post about this once I get started. I am so excited to begin volunteering for an organization that I believe does so much good. 8. Get a morning routine. My routines have changed a lot with Nick gone, starting a new job, and hopefully now volunteering. Without a morning routine, I feel lost, so I want to nail it down. 9. Clean my car. Where is Nick when you really need him?! 10. Avoid seeing a cockroach in my apartment. These guys are everywhere in Hawaii, and I have absolutely no idea what I will do if I see one while Nick is out to sea. What’s on your to-do list this month?! 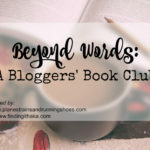 Want to read more in 2018? Recent Reads: 5 books you will want to read this weekend. Lots of awesome goals for the month! I am ALWAYS behind on my photo books… why?! I have them in my goals every month with a bit more progress each time. I’d love to be caught up. I definitely need to work on my scrapbooks as well! I still need to finish our engagement scrapbook, let alone start our wedding, honeymoon, first year of marriage, and “first home” scrapbooks! These are great goals! I need to work on some photo books, I’ve been slowly compiling photos of E’s 1st year. I tend to be bad at setting goals but always love reading other people’s lists. You have such a good variety for the month– scrapbooks can be so time consuming but always so worth it in the end. 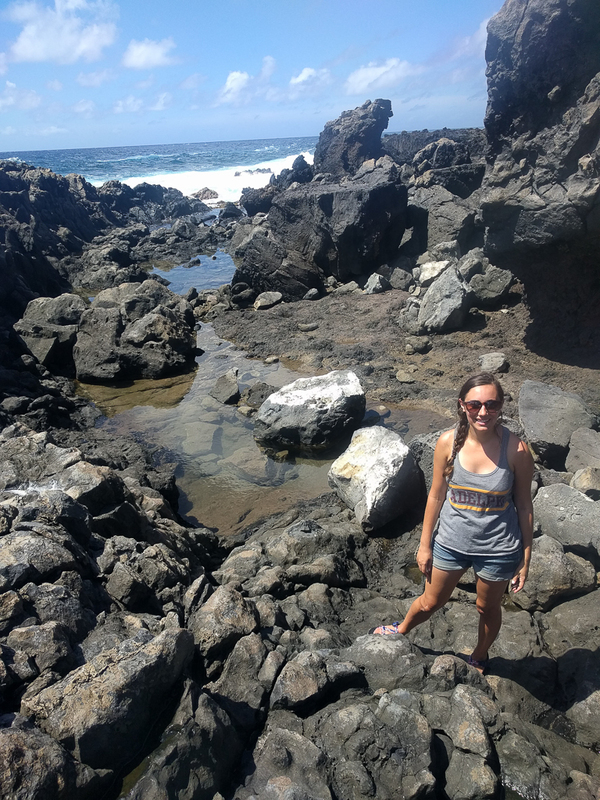 I can’t wait to hear more about your hikes– it’s so cool to get to explore Hawaii even though I’ve never been. Ewwwwwww. Your cockroach goal makes me squirm! I think they’ve been bad here, too, lately. My dad said they had one at their house and I wanted to barf. Hahahaha. Thankfully I haven’t seen one. I think I’d die. Honestly. I love your hiking goals! And the volunteering one! And the book and scrapbooking ones! I’m glad you decided to share your goals! I love reading goal posts to! I think you have some great ones. Cockroaches are the worst – we had them all the time at our house on Bragg and I still mentally prep myself when I open cabinets or walk into the kitchen, even though we’ve moved. I REALLY hope your successful with that goal! These are great goals! I like seeing what other people are working on and prioritising. I’m impressed that you do real scrapbooks, I think I did one for about 6 months before giving in. I love it but never get around to doing it! Once we’re a bit more settled I think I’ll make some decent goals too, and maybe even write about them…! For now I just have one mega to do list and that’s no fun at all. I love your goals! They all sound like ones I would hope to achieve as well. I would love to be able to read one book per week like I used to – that’s the longterm goal! I squeeze in reading when my daughter is in bed for now, so it’s more like 1.5 – 2 books per month! Awesome goals! I too, prefer to avoid seeing any insects until Greg gets home. Never works out in my favor. Ever. haha! Ahaha, I had to laugh at the last one!! That’s how I feel here, I just pray to god one of them never make it into my house cos I would flip out. Girl, I never realized you’d been to NZ! I’m so jealous! !